Engorgement and Pumping - How Much Should I Pump? 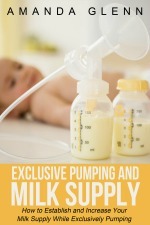 You are here: Home / Breastfeeding and Health / Engorgement and Pumping – How Much Should I Pump? Engorgement and Pumping – How Much Should I Pump? By Amanda Glenn 1 Comment March 27, 2019 This post may contain affiliate links. 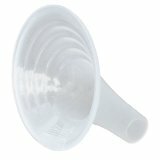 Many moms experience postpartum breast engorgement when their milk comes in. Some common questions include: How much should you pump to relieve engorgement? 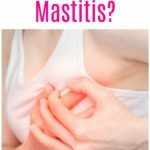 What’s the difference between engorgement and mastitis? Can you prevent engorgement when you’re exclusively pumping? Here are some tips to help you manage it. Engorgement occurs when breasts feel overfull with milk; this can be uncomfortable or painful. When this happens, it’s usually at one of two different times – when a mother’s milk first comes in, or when she weans. Engorgement usually lasts anywhere from a day to a few weeks. What are the Symptoms of Engorgement? Engorgement isn’t limited to the breasts; it can go up all the way up to the armpit. Common Question: Do I have engorgement or mastitis? It can be tricky to tell the difference between the two if you have a fever, as both mastitis and engorgement present with low-grade fevers and breast pain. However, the fever for mastitis tends to be higher (101.3°F or greater) and also is accompanied by chills, general malaise, and flu-like aching. If you have any of these, the issue is more likely mastitis than engorgement. Common Question: Do I have engorgement or a blocked duct? It can also be difficult to tell the difference between engorgement and clogged milk ducts if you have “hard spots” in your breasts that feel like they may be lumps. The major difference between the two is that with a clogged duct, usually you’ll have very localized pain in the area of the lump. Putting pressure on the lump will really hurt. 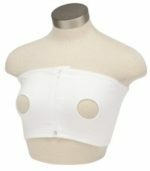 Engorgement is a more general pain encompassing the entire breast, and not usually focused at the spot of a single lump. How Should You Treat Engorgement? If you are exclusively pumping, make sure to stick to your pumping schedule, as you want to make sure to empty your breasts consistently. One common question: Is it possible you could remove “too much” milk and make the engorgement worse? Pumping, hand expressing, or nursing to comfort prevents the negative consequences of retained milk. Relieving the milk pressure will not make engorgement worse. So how much should you pump to relieve engorgement? Establishing an oversupply may be a concern in some situations, though this is less of an issue if you are exclusively pumping than if you are nursing. If you’re a nursing mom, I would suggest pumping to comfort. Exclusive pumpers should pump on their schedule, though pumping longer if desired is okay too. 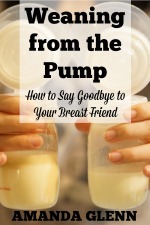 The best way for exclusive pumpers to prevent engorgement when your milk comes in is to stick to your pumping schedule as much as possible, and make sure that the schedule is frequent enough. When you have a newborn, you should be pumping 7-10 times per day, for a total of 120 minutes per day. To prevent engorgement when you’re weaning, don’t wean abruptly or cold turkey if at all possible. Plan to start dropping pumping sessions early enough that you can be weaned from the pump before any deadline you may have, such as going back to work, travel, etc. Generally speaking, give yourself about a week per session. For nursing moms, sometimes sudden weaning can’t be avoided due to circumstances (such as a medical issue); in these cases, I would recommend weaning using a breast pump the same way that exclusive pumpers do. An overview of how to gradually wean from the pump is available here. Have you dealt with engorgement? Tell us what happened (and how you treated it) in the comments! I love how you layed out they way to tell the difference between mastitis and engorgement. I once managed to get engorged on only one side, and I didn’t know what the heck was going on! Great info, and well written as always!